This file photo taken from Wikipedia shows Dharahara before its destruction by the 2015 earthquake. 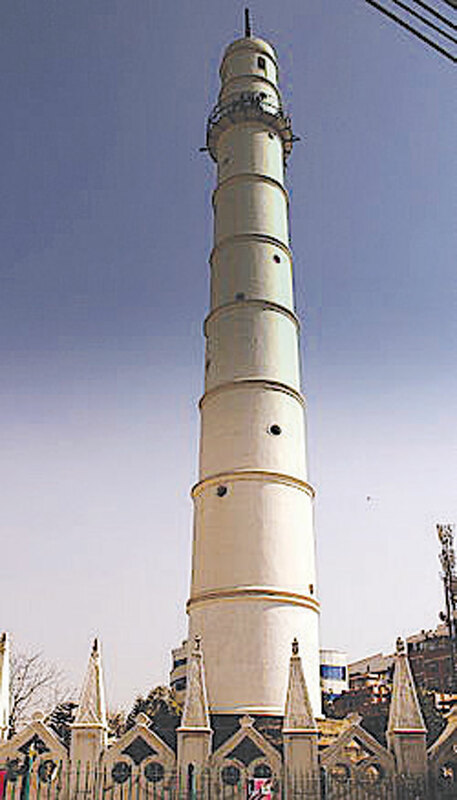 KATHMANDU, August 1: The much-awaited reconstruction of Dharahara has fallen into uncertainty as the National Reconstruction Authority (NRA) has not been able to verify the authenticity of Chinese firms which have partnered with Nepali civil contractors in the bidding process for rebuilding the tower. The NRA was supposed to open financial proposals submitted by five qualified joint-venture contractors on Thursday. But as the NRA could not verify the authenticity of six Chinese firms partnering with Nepali civil contractors, it postponed the task of opening financial proposals for the fourth time on August 7. NRA Officials said that the bidding process is unlikely to move forward for more than a month. Hours before opening financial proposals submitted by the joint ventures on July 10, the JV of Kalika/ Rasuwa, one of the qualified contractors, filed a complaint at the Office of the Prime Minister and Council of Ministers (OPMCM), questioning the authenticity of experience and qualifications submitted by Chinese firms with whom the other bidders have partnered to meet the ‘turnover criteria’. Upon receiving the complaint letter, the OPMCM forwarded it to the NRA, asking it to stop the process of opening the financial proposals and launch investigations. Then, on July 19, the NRA wrote to the Chinese Embassy in Kathmandu through the Ministry of Foreign Affairs, seeking information about the five Chinese firms partnering with Nepali builders for Dharahara-- ZIEC, CR5CEC, CFEC, GIETC and CICO. “After we did not get information sought about the Chinese firms from the Chinese Embassy even after two weeks of requesting the information, we could not verify their authenticity. As a result, we were forced to postpone the task of opening the financial proposals for Dharahara reconstruction till August 7,” Raju Manandhar, a joint secretary at NRA, who oversees heritage reconstruction, said. He said that it may take more than a month for the bidding process to be completed. “Firstly, we should get information about the Chinese firms. Even after we receive information, we need to see if the Chinese firms have produced fake documents for the bidding as claimed in the complaint received by the OPMCM. And we need to prepare an investigation report, which will take some time, and then forward it to the OPMCM for endorsement. So, given the overall processes, I don’t think the reconstruction of the tower will start anytime soon,” he added. 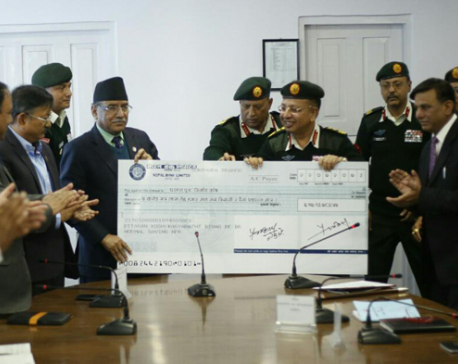 The Dharahara reconstruction project is of around Rs 4 billion.